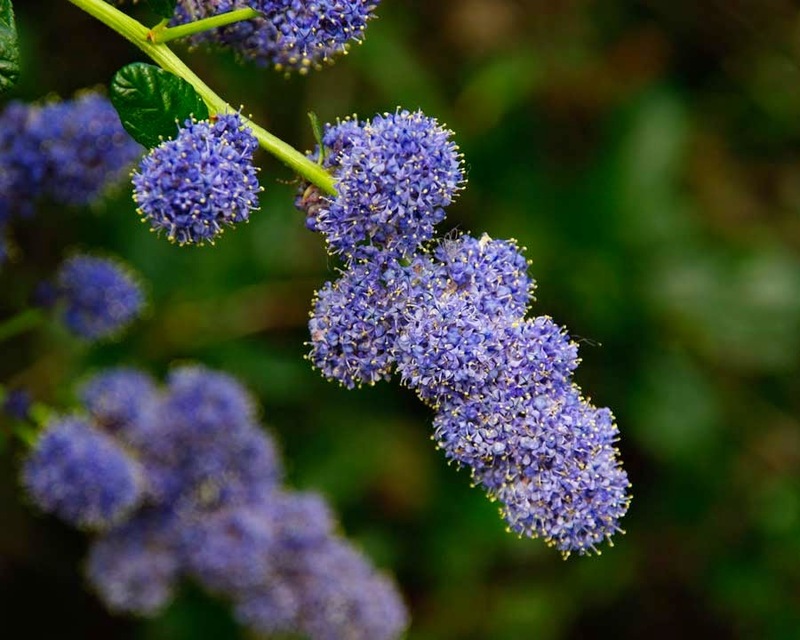 The Californian lilac - Ceanothus species, is one of the great colour events of late spring. They include so far at least 55 species of evergreen deciduous shrubs and trees and while they may have the common name of 'Californian lilac' they are as a family widely distributed all over the United States, and beyond to south Canada, and Mexico south to Guatemala. Most of the ornamental species and cultivars available can vary anywhere between small and prostrate to being very tall and vigorous shrubs. However, the plants usually found available are of a medium size and will provide the best blue flowered shrubs that can be grown outside in most northern European climates. In fact with their abundance of intensely, deep blue flowers there is little else that can compete with this stunning floral blanket. Ceanothus species are easily identified by their shiny upper leaf-surface and unique leaf-vein structure shared by all plants within this genus. 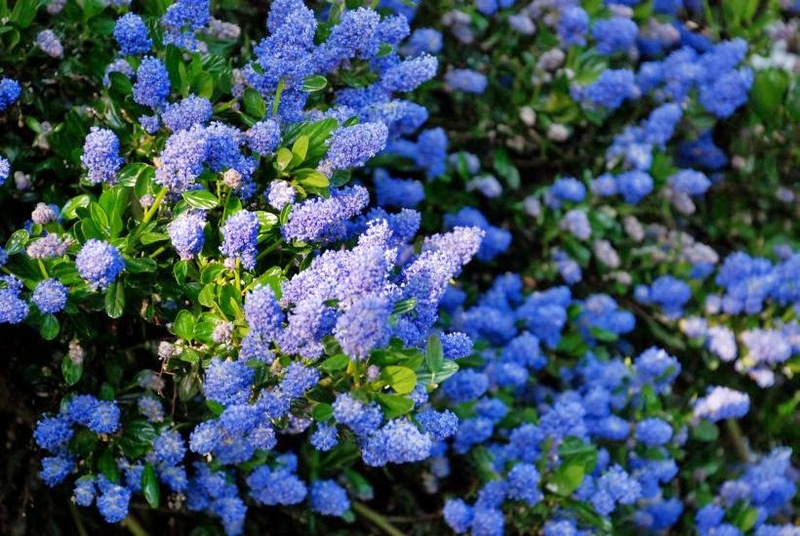 To get the very best out of your ceanothus you will need to provide them with a good, free-draining soil in full sun. All species are lime tolerant to a point but may exhibit signs of chlorosis in light soils over chalk or those which have a pH above 8. Ceanothus will do particularly well in sea-side gardens, although in colder regions will benefit from the protection of a wall. Evergreen species require very little maintenance although they will benefit from a light pruning after flowering. Deciduous forms can have their lateral branches cut back to within 8-10 centimetres of the previous years growth in March.